Symphony No. 7 in C Major, Op. 60, "Leningrad"
"Five Stars ... fresh, beautifully phrased and vividly recorded ... will stand as a major recorded achievement for the 21st century." "... one of the great recordings of this still troubling work." "... deserves to be in every orchestral music lover’s collection ... with sound as good as performance and value, it’s an easy recommendation." "... (a) compelling performance ... the full-bodied sound from the Liverpool Phil is highly effective and the wide dynamics and vivid climaxes are wonderfully controlled ... the sound feels remarkably fresh and the balance is impressive too ... the orchestral playing is an absolute triumph ... truly world class." 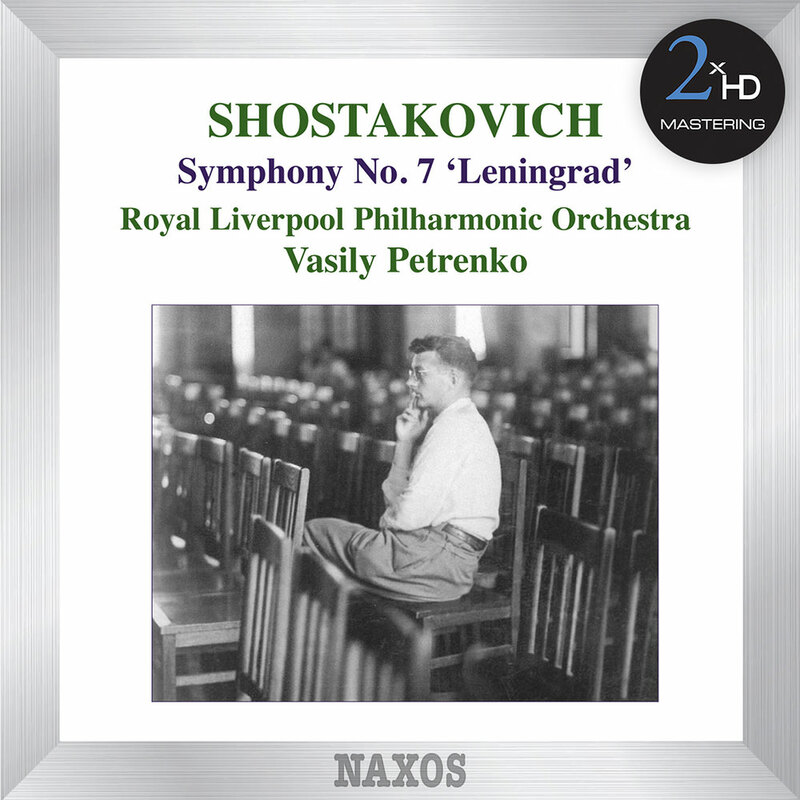 Another volume in the highly acclaimed complete cycle of Shostakovich symphonies from conductor Vasily Petrenko, leading the Royal Liverpool Philharmonic Orchestra on the Seventh Symphony, written during the Nazi invasion of the Soviet Union in 1941. Initially the composer gave each movement a programmatic title but later withdrew them, leaving this epic work as an historic emblem of heroic defiance in the face of conflict and crisis. "I dedicate my Seventh Symphony to our struggle against fascism, to our coming victory over the enemy, to my native city, Leningrad." Mastered in PCM 352.8 kHz / 24-bit, 192 kHz / 24-bit, 96 kHz / 24-bit and DSD 2.8224 MHz / 1-bit.